The construction guys next door were making plenty of noise this week, and Yang’s inquiring mind wanted to know what was going on. 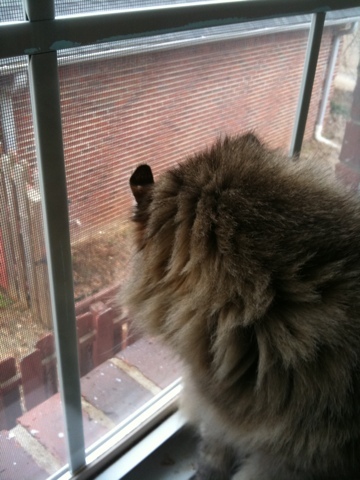 Note that in his quest to see down into the yard, he has pressed his head against the glass so hard that his ears are flattened. I live with the reincarnation of Gladys Kravitz.